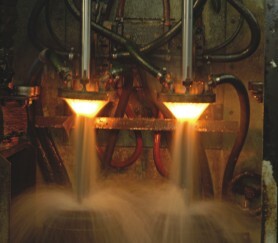 Our in-house Heat Treat Capabilities furthers the precise control over the manufacture of quality forgings. Heat Treatment facility is capable of meeting the requirements of the process and can be customized also to meet the Customer specified standards like CQ-9. At GNA Enterprises, Heat Treatment facility includes oil and gas fired furnaces, quenching medium tanks, bottom drop furnaces, salt bath furnaces with mechanical charger etc. 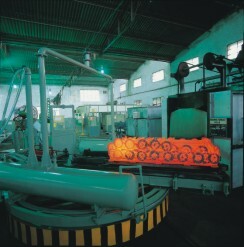 The Finishing Shop has Shot Blasting Machines, Shot Peening and powder coating facilities. The Process is controlled through automatic audio-visual systems for temperature monitoring and process qualification where we continuously try to narrow down the input parameters. Each Induction Hardened component is passed through Magnaflux Particle Testing machine, to check axial as well as transverse surface cracks and then demagnetized. 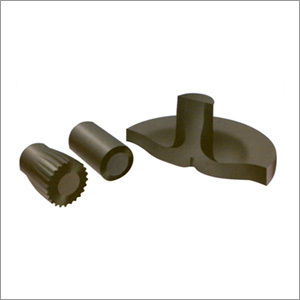 Each Induction Hardened shaft is tempered in batches to remove the residual stresses and improving the grain flow. We make use of the Statistical Process Control in the form of X-moving Range Charts to control the Part-to-Part variation. Process qualification and sample based in-process inspection is done to ensure that each component that goes to the customer conforms to the requisite parameters.